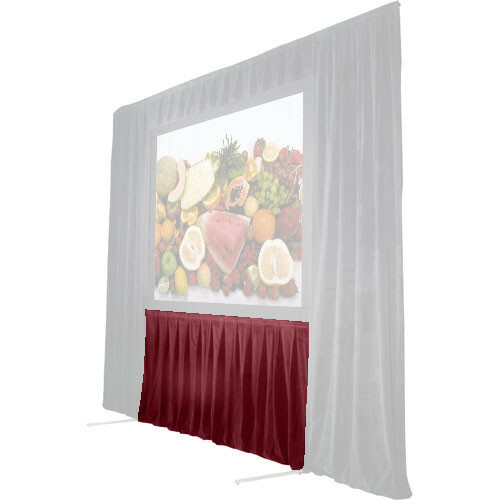 The Screen Works 48" Skirt for the 6x16' Stager's Choice Projection Screen - Burgundy is a smart addition to any presentation. This skirt helps close the projection area and focuses the viewers' attention on the screen. As it is an opaque barrier, it also provides a secure curtain behind which you can store cases, pamphlets and other material not needed immediately.